We’re coming down to the end now. This Friday, on Jan 25, the Backerkit phase for Lost Hall of Tyr (updated and expanded!) will end. What does that mean? Then I’ll send out the pre-final PDF, and give y’all some time to look at it and comment on any typos and whatnot. When those are fixed, I’ll update, send out the final PDF, upload that same new PDF to DriveThru for sale, and place the print order. At this time – though we’re only about $500 shy of the $6,000 offset goal – it appears that the print copies will be done by short-run digital printing. It’ll be a nice run, so no worries. There are only ten people who haven’t yet filled out their survey, and maybe eight or nine of those have physical product coming, so I must have your information to get you your books. So if you’re going to do add-ons or get one of those sweet shields, now is the time. If you’re not getting anything else . . . now is still the time. If you want to place a pre-order, it’s not too late! Lost Hall: 80% on Surveys; Only 20 pre-orders from Stretch Goal! The Lost Hall of Tyr (2nd Edition) Kickstarter campaign is in the Backerkit phase. You guys have done great for the surveys . . . and have been generous with the add-ons, which I appreciate. We’re over 4/5 – 82% to be precise – complete. There are 24 people who have not filled out their surveys, but of those, 17 have hard-copy material for which I need an address, so if you have already ordered, or would like to order, physical goods . . . I need a shipping address. We are also only 20 new orders from achieving the offset print run stretch goal . . . so we’re very, very close. Those of you that have backed my projects before know I’m transparent in terms of where the money’s going. You backed me, you get the straight dope on funding flow. In this case, after Kickstarter fees, we brought in $3,675 from that part of the campaign. 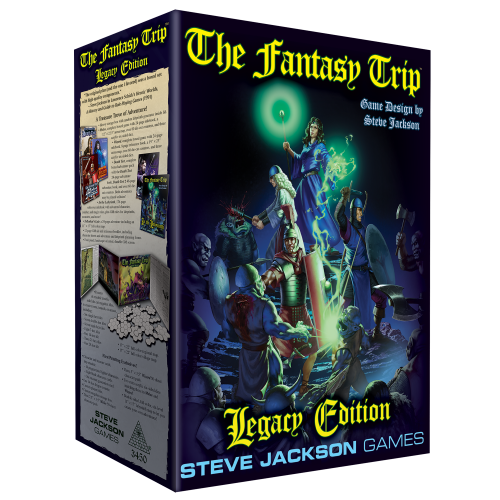 Backerkit has brought in about $940 in not-shipping fees, for a total of $4615 to date that can be applied towards the dual goals of the project: the maps, and the print run. The offset print run and maps together require $5,275, so we’re about $660 shy of the goal. Even as-is, the digital short-run printing with CPI in the UK will produce up to 400 books if I choose. In distribution, these won’t be self-sustaining at the cost-to-produce as they would with the offset run: That’s OK (It’s not ideal, but it’s OK). No matter what, there’s Dragon Heresy support out there, and more on the way. The key to victory here is simple: 20 pre-orders of PDF and Print. He’s done something fun with the entrance to the Hall itself, which is to draw the outside and inside lower hall as a single map, split into two halves. This will allow a notional battle to rage between the two seamlessly, which was in the original adventure but not really reflected on the maps. That means barring Real Life, the maps should be done and ready by week’s end. That will let me start finalizing the PDF. I’ve got a few conversion notes to put in, some stats and conversion notes for Swords & Wizardry to add, and an error check to do. Hopefully that will all be complete within the month of January; then we’ll get a preliminary PDF out so folks can look for errors and typos that always slip in. Basically, I’m on schedule. The same schedule I posted originally in the Kickstarter campaign. This isn’t an accident: it’ll be the fifth Kickstarter that I’ve run that will be on time or ahead of schedule (that is, all of them). If we hit the offset run, expect your print copies in June (or before). If we don’t, you should get them 4-6 weeks earlier. Don’t forget those surveys if you’re doing physical product! And as always, a little word of mouth (of Facebook? Of Twitter?) goes a long way. We’re about two dozen print pre-orders, or 10 “Starter Kit” with a copy of Dragon Heresy included, from the stretch goal that will both improve the book (thicker, heavier paper, lay-flat sewn binding) and get it out there in retail stores next to the core book. If you have questions, you know Where to find Gaming Ballistic on the Internet! There’s a lot going on here at Gaming Ballistic, and eight days into the New Year I find myself multitasking furiously. This is good. One of the things I’m working on is setting up international print-on-demand for Hall of Judgment. One of the eternal frustrations of working as a US publisher is the difficulty – largely due to shipping – of serving cross-border customers. For whatever reason (and I’ve read several), it’s darn near prohibitively expensive to get books made in the USA out. This is especially irksome given that if for some reason I am able to afford an offset print run, which brings the cost per book down to levels that can survive a distribution channel profitably . . . I can’t effectively get the books OUT again. Anyway, short version here. I really liked the production values of Hall of Judgment. It wasn’t sewn or lay-flat, but it was a nice perfect-bound book on 93# paper (140gsm). I just approved the new cover for Hall of Judgment via Print-on-Demand from the same vendor (CPI Anthony Rowe). It’s going to be about 1mm thinner, but still printed on nice thick silk-coated paper stock. It’s also going to be print-on-demand out of the UK, and sent by Royal Mail. This is the best shipping arrangement I’ve found. So if you order a book from me and you’re not in the USA, it’ll probably come from them, and we can avoid the extra $20-40 in shipping that comes when I send out of the USA. Once it’s all finalized, I just received word that the title is now ready to print! As soon as I get an update on prices, I’ll change the shipping prices on my website for that product. But it’s a good step to getting product worldwide for less. Glynn is hard at work on new maps for Lost Hall of Tyr (2nd Edition), and below you can find a bit of history on the old maps, how he and I got to collaborate, and some WIP he’s willing to show. When Lost Hall of Tyr (1st Edition) was being made, I budgeted for a Kickstarter that equaled my first: about 300 folks. I also spent a bunch of money on a really prime piece of artwork that was (and still is) the most expensive single image I’ve yet procured. Even so, I couldn’t afford bespoke maps. Bogie Maps – and Dan was a pleasure to work with – had stock maps in hand, and was able to mildly customize a few for me using assets he already had. As an example, he created a generic location for “Rival Claim” using a stock map. The advantage was obviously cost. The disadvantage was that it had no real tie to the adventure description: it was just a big map. That has its charm, as it’s portable. And the full-scale combat maps are still part of the book package. But when I got the opportunity to upgrade content of the book for the Dungeon Fantasy RPG as Hall of Judgment, the project required more maps. Specific maps, that would let the linear convention-style demonstration adventure – Lost Hall’s purpose was to demonstrate the concepts in Dungeon Grappling – turn into something much more non-linear and sandboxy. Not a true sand-box; it is a quest adventure, after all. But something with more geography, and a lot more detail and options on the approach. I got to know Glynn through his Midderlands kickstarter(s). I was impressed by his high production values on the book, and also with the quality of his cartography and artwork. Very evocative, and really brought the feeling he was going for to the work. When I decided to produce new maps, and new locations, from the Village at Logiheimli to the Goblin Warrens (two of them!) to make mincemeat out of adventurers . . . um, provide a suitable challenge for adventurers . . . I reached out to see if he was available for commission. He was (and remains) extremely easy to work with. I sent really, really coarse sketches of what I was looking for – I’m a stick-figure kind of guy when it comes to de novo art creation, though I’m a fair hand at digital compositing of existing work. He turned it into something glorious, which is of course included in Lost Hall 2nd Edition. So when it came time to upgrade the maps such as Rival Claim to something better as part of the Lost Hall 2nd Edition conversion . . . Glynn was the obvious choice. I sent him some art notes, and of course he has a copy of Hall of Judgment since he worked on it (and super-easy to get it to him, since the books were printed in the UK). Now that the New Year is here, he’s already hard at work, and has documented his creation of the new Rival Claim map on his blog. I can’t recommend Glynn enough as a creator and a collaborator. You can see the first of seven new maps below . . . stay tuned for more, and of course please help steer your friends and Favorite Game Store folks to the Pre-Order page! The “Smoke Test,” which vets the survey for effectiveness and function, is nearly complete. I will likely send it out to all backers shortly. It will run for three full weeks, during which time I hope you’ll help me get the word out, as the Pre-Order Store is open, and if we can hit extra stretch goals during that time, I’m all for it. I should be seeing the initial Kickstarter campaign funds settle sometime between today and Sunday. That will allow me to, in earnest, get cracking on the finalization of text, maps, and printing. That’s it! Hope you guys had Holiday breaks that were eventful in only good ways. Also, if you’re curious to how 2018 treated Gaming Ballistic, read about it below and see what’s coming next. I’m always on the lookout for better options than the usual “please amputate your leg in exchange for shipping internationally.” Gaming Ballistic is thrilled to announce that I found a good source for Hall of Judgment Print-on-Demand. Over the last month or so, I’ve initiated a POD option for new orders of Hall of Judgment, done by the same printer that did the original copies. The new books print on 130gsm silk-coated paper instead of 140gsm, so they’re slightly thinner, but otherwise they’re the same quality as the prior books. I believe Lulu prints on 80#/120gsm paper, and premium POD with DriveThru is on 105gsm/70# paper. But if you got the PDF and wanted a print copy, there’s now a source that originates outside of the USA for these books, which saves big-time on shipping. So I started Gaming Ballistic on Blogger. Since then, thousands of posts and millions of words (at one point, I counted both) later, I’ve started a company and published four or five books on my own, plus Technical Grappling. In 2019, I’ve got more on the way: a minimum of three core plotlines for two different systems. I still haven’t really figured out how to load-level and keep my publishing on the blog leveled with my publishing and writing for books, but that’s a 2019 goal. Speaking of those, look for the “what worked, what didn’t” navelgazing post sometime after the new year. Until then: thanks for journeying with me this far! This product is the 2nd Edition of the Lost Hall of Tyr adventure. 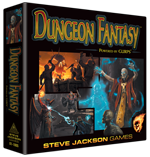 It is NOT for 2nd Edition D&D, which I believe I have played either once or twice, ever. The native system is Dragon Heresy, which is based off of a tweaked version of Fifth Edition, that is: the System Reference Dictionary v5.1, under the Open Gaming License. As seems to be frequently the case, when I’m in heavy writing mode there’s not much time for much else. The Citadel at Norðvörn needs wordcount! I’m trying to write an average of 1,500 words per day, which is non-trivial but I want to get this out there. I’m working from a healthy mind-map of the setting relationships, so it’s really a matter of picking one of the lines or dotted lines and expanding on each bit. There are no pre-conceived outcomes here. Citadel is about a situation, and every group of PCs, along with the GM, will take this mini-setting and run with it. The mind-map will be included in the adventure in some form or another, for easy reference. I was able to pretty much improv my way through a Dragon Heresy session with such a map, and with the creatures in the main DH book and those included in the adventure book if needed, plus the extensive guide to key personalities that’s going into the Citadel book, you can probably “just play.” That’s the goal, anyway. Citadel, though, is the first of three planned Dungeon Fantasy RPG releases in 2019, so I want to get on it fast, so that my Inner Team can playtest it and see what holds up and what needs expansion (or trimming). Right now I’m at about 8500 words into a document that needs a minimum of about 44,000 (roughly 80 pages) and a maximum of about 71,000 (128 pages). I think 80 pages will be the best based on the last Kickstarter’s performance, as a nice blend of “I can deliver an equally-good product” and “not go broke.” Still, if there’s more content – and there can easily be more content – and the KS does very well, I can add it. This one’s going to need some serious art help, though. At least three city maps, likely four or five: Northwatch (Norðvörn) citadel, the lower city, and the towns of Ainferill (Riverbend) and Vegghofn (Sallyport). Probably a map – really an encounter location – for another village that forms a major nexus of conflict for the area. Lots of character art. Not every NPC gets drawn up, of course, but some of the main ones need detailing. Lots of opportunity for folks that do character sketches here. So please forgive me if my blog content is a bit muted, or only happens in fits and starts: I’m head down at the keyboard. But if you really want to help me get a jump on things, especially the city maps, you might consider supporting the current Kickstarter for a shelf-worth print run of the Dragon Heresy version of Hall of Judgment. Every now and then, I get a short spell of orders for Dragon Heresy; that makes for some serious help in buying art, paying writers, and generally making more new content.